John was born in Corpus Christi, and has lived and worked along the Texas Coast for most of his life. John grew up enjoying lots of hunting and fishing, sandlot baseball, football, riding motorbikes, and going to the beach. His early work experiences came from spending summers in the hayfields, and working at various oilfield related jobs. After graduating from La Porte High School, he worked part-time in a number of agricultural and oilfield occupations while working towards college degrees. He obtained an undergraduate degree in Agricultural Economics from Texas A&M University in College Station, Texas. After spending some time in Texas and overseas in the oilfield services industry, John pursued graduate degrees from the Department of Agricultural Economics at Texas A&M University in College Station. During this time, he worked as a Research Associate where he assisted faculty and other graduate students in analyzing the financial consequences of alternative economic and policy situations. After completing a PhD in Agricultural Economics, he worked as an Extension Economist for Louisiana State University. Spending time developing and implementing producer-oriented educational programs further demonstrated to him the importance of farmers and ranchers being more proactive about reducing the risks associated with marketing and management decisions. 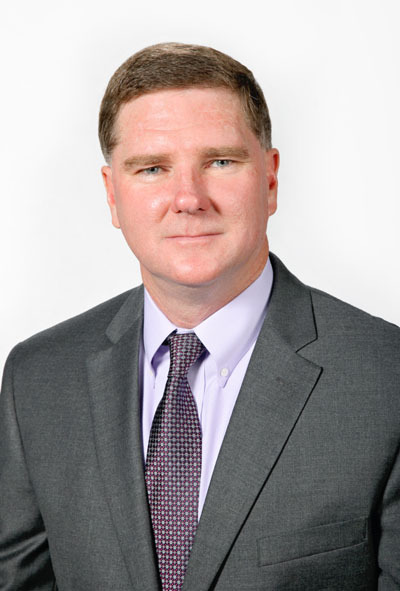 In 1999, John started Southwest Agribusiness Consulting, Inc., a firm that provides comprehensive price risk management services to producers and users of agricultural commodities throughout the Southern Plains. He works with individual customers, and provides leadership in the development and implementation of price risk management plans to fellow staff. He and his wife Leslie, and their four daughters Anna, Evie, Zoey and Tilly live in College Station. Jill was born and raised in Burleson County. Growing up in the farming and ranching industry, Jill's family grows cotton, corn, hay and registered F-1 Braford heifers. Through her school years, Jill participated in 4-H and FFA; showing market steers and commercial heifers raised by her family. After graduating from Caldwell High School, Jill began her college career at Blinn Junior College. Ultimately, she transferred to Sam Houston State University and began working as a student in the Agriculture department. Jill graduated from Sam Houston State University in 2010 with a Bachelor's of Science degree in Animal Science, minoring in Agricultural Business. Upon graduating, Jill knew it was important to her to work and live close to her family and their farm. She worked 4 years at a local bank, concentrating in fraud prevention associated with AML and debit card activity. She married in 2013, and now lives in Burton, TX, where Jill and her husband, Matt, raise cattle on their ranch. Although banking was great, Jill knew that working in the Agriculture industry is really where she desired to expand her career. 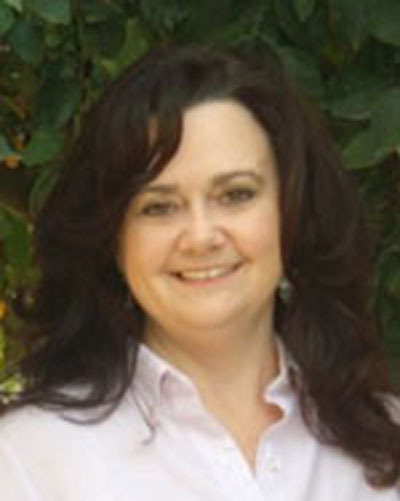 Jill joined Southwest Agribusiness Consulting, Inc. at the main office location in September 2014. As Office Administrator for our statewide program, she assists staff in all aspects of business operations and customer services. Andrew was born and raised in Bryan, and also has strong family ties to the Caldwell area just down the road. He played little league baseball and soccer as a young boy, and learned how to play the saxophone in middle school. As he grew older being outdoors became his favorite pastime and when he wasn't helping his dad or grandfather out at the farm in Caldwell; hunting, fishing, and riding ATVs became some of his favorite things to do with his spare time. He graduated from Bryan High School in the spring of 2009. He decided to attend Texas A&M because of the many great agriculture based degrees they offered and the ability to still be close to his family. During college he worked for several different agriculture based companies in the area. He worked with everything from GMO commodities for large agrochemical companies to livestock feed products at the local Producers Cooperative. 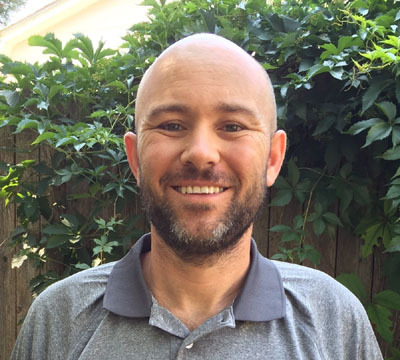 His last job as a student worker was for Texas A&M Agrilife Extension Research branch where his job responsibilities included collecting and recording data from research trials, assisting professors with projects, and helping with upkeep on the turfgrass plots. After getting his degree in Agricultural Economics in May of 2013 he began working for a general contractor working in the accounting department. While the company he worked for was a good one and had really great people, he did want to eventually return to the field of agriculture where his roots were. He has always enjoyed meeting new people and many of the relationships he has formed with people in and around the field of agriculture have been the most rewarding of his career. Nichole was born in Galveston County and spent most of her life in Santa Fe, Texas, where her family owned and operated Sportsman Trailers. Growing up, she developed a great love for the outdoors and spent most of her time in the marshlands and bay waters along the Texas Coast. She currently lives in Snook and remains an avid sportsman, dedicating her time to hunting ducks, deer, turkeys, and varmints, along with fresh and salt water fishing. 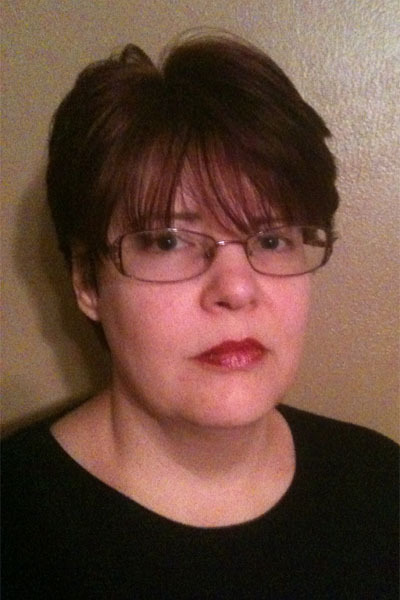 In 2005, Nichole moved to the Brazos Valley area to begin her undergraduate studies. She attended Blinn College and worked as a dental assistant before transferring to Texas A&M University in 2007. Through her studies she completed an internship with the Texas AgriLIFE Extension Service, where she worked with a local IPM agent, Bill Ree, studying pecan crops and pest management. During this time, she helped develop a study focusing on aphid resistance to insecticides such as Imidacloprid, and also participated in the Texas Pecan Growers Association Conference. Nichole earned her first Bachelor of Science Degree in Entomology, and decided to further her education with a second Bachelor of Science Degree in Horticulture. Following graduation in December 2010, agricultural-related jobs in the area were slim and she began working as a software consultant, focusing on business management and accounting. Although she appreciated the opportunity and knowledge she had gained through this experience, her ultimate goal was to work with farmers managing their crops. 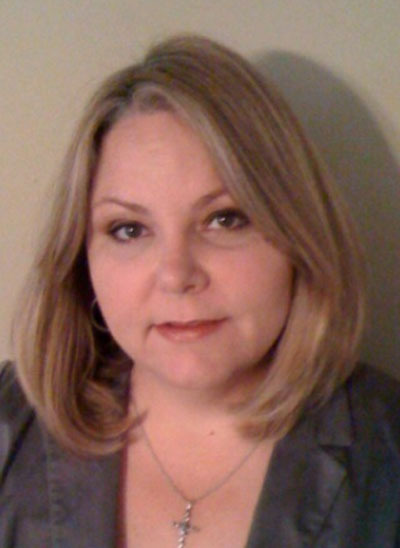 Nichole joined Southwest Agribusiness Consulting, Inc. in May 2012. She assists consultants and clients by conveying the agricultural futures and options markets, and helps maintain their commodity hedge positions. Sandy was born in Corpus Christi, and naturally took advantage of coastal living. If she wasn't attending school or working in the family business, she was fishing, sailing, camping or just enjoying quiet time on the beach. She also found time to care for a small menagerie and participate in 4-H and FFA. 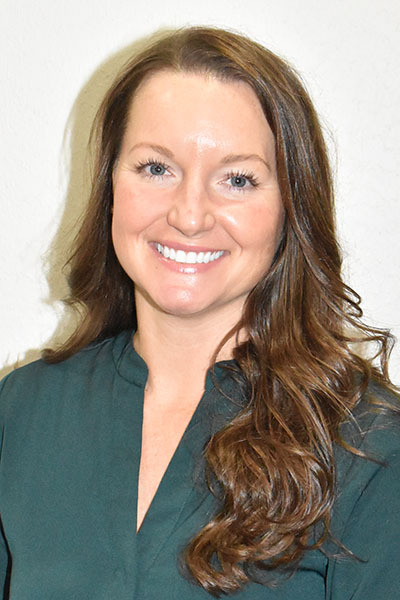 After graduating from high school, she acquired a bachelor degree in Agriculture from Stephen F. Austin State University, focusing on the management of biological and environmental influences on crop production. Sandy's professional career has included business and resource management with Texas Parks and Wildlife, Harris County Parks, Wolfe Nurseries, and the YMCA. She began working for Southwest Agribusiness Consulting at the Corpus Christi office, communicating with producers, collecting data, and coordinating sales. Sandy currently resides with her husband in the beautiful Texas Hill Country, where they produce rare breeds of meat and fiber sheep. She enjoys travel, reading and gardening. Wendy grew up in Oregon City, Oregon. She came to Texas in 1987 to attend Abilene Christian University for a business degree. Once she got to Texas, she met her future husband, Sonny. Although she has visited Oregon several times, Texas is now her home. Wendy has one daughter in Junior High and accompanying her to extra-curricular activities keeps them both busy. Her interests include crafting, gardening, reading and ceramics. Wendy worked as a receptionist for a busy veterinarian in El Campo for seven years. When she moved to Edna she went to work for a group of doctors in Victoria for about 3 years. Wendy took several years off to be an at home mom and joined our Edna staff in July of 2011. Ryan was born and raised in Wharton County. He grew up helping on his family's farm where he gained knowledge about crops, cattle and equipment. This experience led him to seek further education and a career in agriculture. 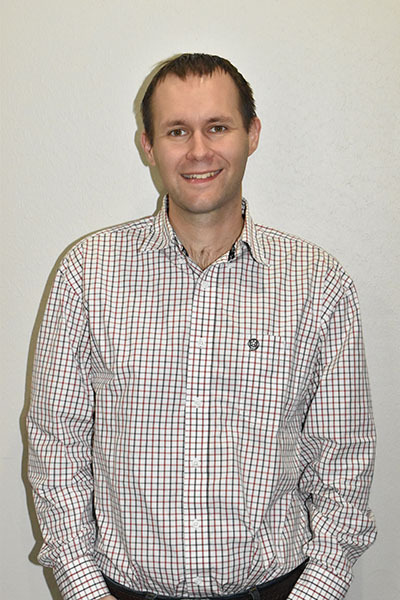 After graduating high school, Ryan pursued a degree in Agricultural Systems Management from Texas A&M University in College Station along with a minor in Business. During his senior year of college, Ryan began an internship with Southwest Agribusiness Consulting in Caldwell. Shortly after graduation in 2017, Ryan got married and moved to Edna to begin a full-time position with Southwest Agribusiness Consulting. He now assists clients in the Edna area with marketing and hedging their crops. 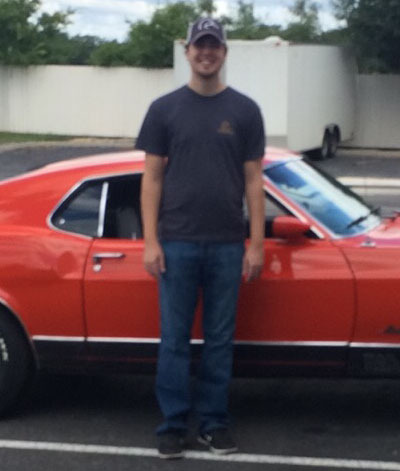 When he's not working, Ryan enjoys fixing and restoring vehicles as well as spending time with family. He and his wife Tonya currently reside in Inez. Cyndie was born in Mission, Texas, and graduated from Sharyland High School. As a member of Sharyland Future Farmers of America Cyndie actively raised and showed animals throughout her high school years. Cyndie graduated from the University of Maryland with a Bachelor of Science Degree in Information Systems Management. Cyndie has been away from the Rio Grande Valley for several years living up and down the east coast and even spent a few years living in Iceland working mainly in the defense industry. Time and a true longing for the country, has drawn her back to her native Rio Grande Valley where she resides now in Monte Alto, Texas. Always the animal lover, Cyndie now owns four horses, a mule, two donkeys, a llama, two dogs and three cats! She and her daughter Alix are enjoying learning the art of English riding but Cyndie admits that western style will always be her love. Cyndie's son Christopher is a freshman at Texas A&M Galveston with plans to transfer to College Station next fall………his mother's dream! Whoop! When Cyndie isn't busy with Southwest Ag Consulting or feeding animals and 'running' kids she has found time to attend the Texas Agrilife Extension Service's Master Gardener Program and is working toward becoming a Certified Master Gardener. James was born and raised in Hereford where his family has lived and farmed since the 1960’s. Agriculture was always important for James even from a young age he could be found every weekend, when not playing football or basketball, with either his father or grandfather on the family farm. He graduated from Hereford High School in 2000. In the fall of 2000 he enrolled at Texas Tech in Lubbock. There he earned two undergraduate degrees in both accounting and finance. In the summer of 2005 he received a Masters of Science in Finance. He was involved in intramural sports and many other student and social organizations. While at Texas Tech he was a tutor for student athletes in accounting, finance, and business math. Every summer and most every weekend he could be found back in Hereford working on the farm. In late summer 2005, after much thought of what he really wanted to do, he decided to move back to the panhandle and start Miller Boys, a full service custom farming and harvesting business specializing in silage harvesting. Here he learned from the ground up the work and full time dedication it requires to be successful, and sometimes to barely turn a profit, in agriculture. 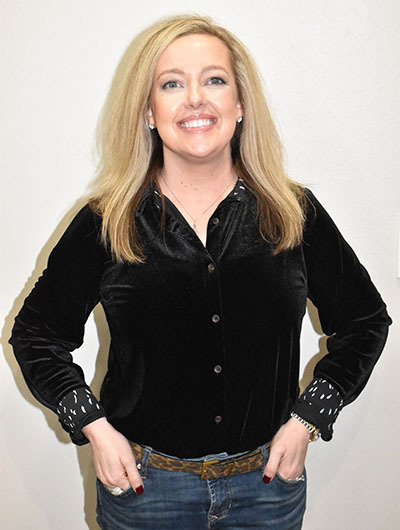 For 10 yearshe grew a business that serviced clients from San Angelo to Dalhart. In the summer of 2015 he sold Miller Boys and began searching for an opportunity to work and be active, in a different capacity, in agriculture. This search led him to Southwest Agribusiness Consulting where he has found a chance to work with some of the same farmers, cattlemen, dairymen as he worked with previously.